The Radeon RX 480 was released onto the GPU market without much fanfare, sold as a mid-range card at a low price – which is exactly how it performs. Despite the excitement in the gaming press about AMD’s Polaris architecture and the RX (and upcoming Pro WX) line of GPUs, particularly about the card’s price point, it seems to have been glossed over by the crypto mining community. 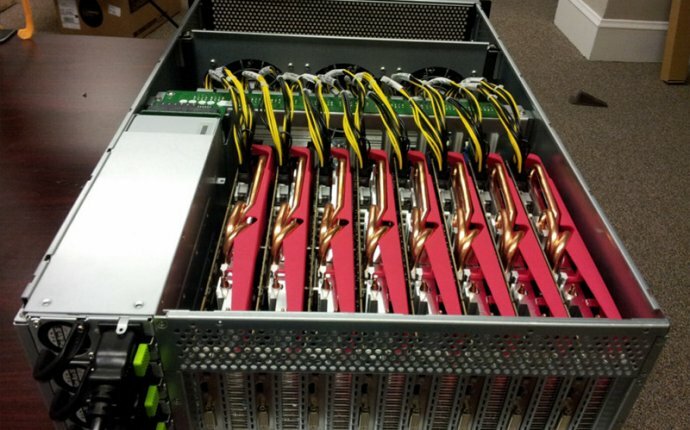 The 480 boasts 26-27 MH/s when put to the task of ETH mining, around 85 percent of what its older brother, the 390X, can put out at around half of the launch price. Despite the card’s promise as an efficient and inexpensive piece of mining hardware, the first batch of reference models had power delivery issues, mediocre cooling, and a lack of raw performance that raised concerns for those looking to put them to work in 24/7 mining operations. Miners on the fence about Polaris will be happy to know that the AIB partner cards, as well as the cut-down RX 470 and 460, are coming to market in the next few days. These cards come with superior cooling and beefed up power delivery that makes them more desirable for mining and other intensive uses. With a lot of the initial red flags thrown up around this GPU about to become non-issues, we’ve decided to revisit the Polaris architecture and explore just how efficient and powerful the RX 480 is when it comes to GPU mining. We’ll be comparing cards utilizing the RX 200, 300 and 400 series GPUs to analyze how each generation of GCN stacks up against the next when it comes to mining Ethereum. I’ve left nVidia’s Pascal and Maxwell cards out of the benchmarks because, despite their improved hashing performance, comparisons across the manufacturers, and from OpenCL to Cuda optimized mining, is beyond the scope of this article. When looking at AMD GPU mining performance, it helps to understand the incongruity between their GPU architectures and their branding. Cards in the previous generation’s 300 series are primarily refreshes of older chips, with higher clocks and more/better memory. The 390X, a mining favorite, for example, is essentially a memory extended, overclocked 290X. The 380 is a souped-up 285 (which is the newest design from them outside of the Fury series’ Fiji Chip and the newer Polaris architecture), and the 370 is working with the same chips put into the now four-year-old HD 7000 series cards. AMD’s Polaris 2.0 architecture shows an appreciable 28 percent raw performance improvement over the last gen 380, and an even more dramatic 51 percent improvement over the previous iteration’s 285.